This weeks Parasha is called Vayera which means "will appear" although we are taught that the leading Vav changes the tense to the past. So we translate it as "Appeared". Of course the real question is "who is him" in the plains of Mamre and what is the meaning of the plains of Mamre. The Zohar answer this in the first few sections of this week portion. It actually explains that the essence of this portion is the energy of the "Resurrection of the Dead". Please note that this energy does not ONLY mean the time associated with the Mashiach but also includes any restoration of Healing, any restoring of lost assets, any healing/restoring of relationships as well. In fact any thing that has the appearance of coming to an end in our life can be restored using this energy. This is what can be acheived by hearing the Torah Portion on Shabbat Morning - Will you Lech Lecha (Go for yourself) to replace your "ends" with your beginnings? There are 147 verses in the portion and the memonic device given to us by the sages is Amenun which is spelled Aleph Mem Nun Vav Nun Sofit. In modern Hebrew this word translates as a particular type of Kosher fish called Telapia. The Memonic can be broken down into two words Aleph Mem or Mother and Nun Vav Nun Sofit which is the full spelling out of the Letter Nun. To understand this one must relate to the letter Nun which has a Gematria of 50 as well as connects to the energy of falling ( which is why the Nun is missing from the verses of the prayer Ashrei which we say so many times a day in our daily prayers). All of this is connecting to the essence of the portion. The "Mother of 50" connects us to the energy store known as Binah. There are some unusual items written in the scroll this week as well. This is the only portion that has dots written above two words in the scroll. One is located at Chapter 18 verse 9 and the second one is located in Chapter 19 verse 33. As mentioned last week each time we connect to a dot in the scroll we are connecting to the 10 days of awe from Rosh Hashana and Yom Kippur and thus have an opportunity to continue and finish our process of Tshuvah. Concealed in the stories of this week's portion there is the energy of childbirth and continuity as well. There is the wisdom to rise above the astrological signs if one walks a righteous path. It is here we learn that angels have only one task at a time. As well as the rule it is ok to lie - in order to keep p eace in our homes. Of course don't do it too often you will be found out. There is the bartering over the evil people of Sodom and Amorah. The portion ends with the Binding of Issac and all of its difficult questions starting with. Why was it necessary for Issac to accept being sacrificed / bound by his father in this physical world? I don't have an anwer for this question. I have asked it each year for the last 4 years and not yet merited an answer. Once i waited 13 years for an answer - i would rather not have to wait so long so i would appreciate if someone has an answer for me. The full question is "since Issac represents the soul after the resurrection and Avraham represents the soul before the resurrection - Why does our soul in the future need to be bound to this physical world by experiencing the binding now? A final note about astrology. 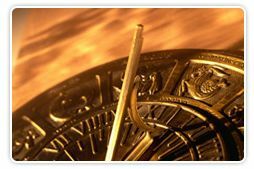 In Jewish astrology - it is revealed what is your Tikune or correction. If you are interested in finding out what you are to do in this world write me an email. If you want to remain stuck in the cycle of Gilgulim (reincarnation) than continue along not knowing this element of wisdom! You have free choice! or do you?